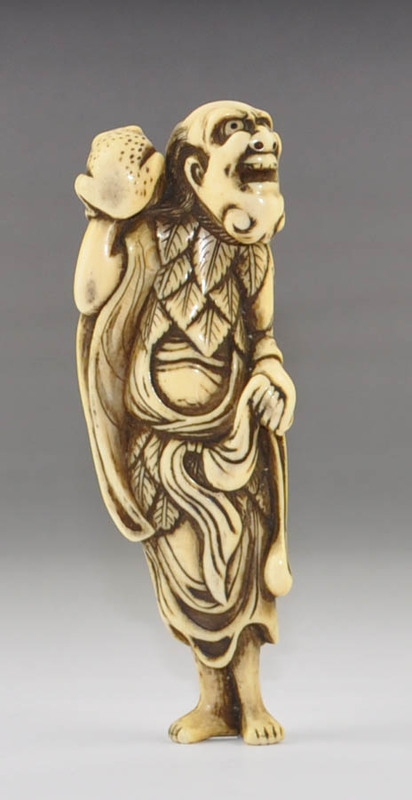 Ivory Netsuke depicting Kō Sensei best known in the West as Gama Sennin (Toad Immortal). The old wise man holds a large toad on his right shoulder while holding a flap of his waist with his left hand. 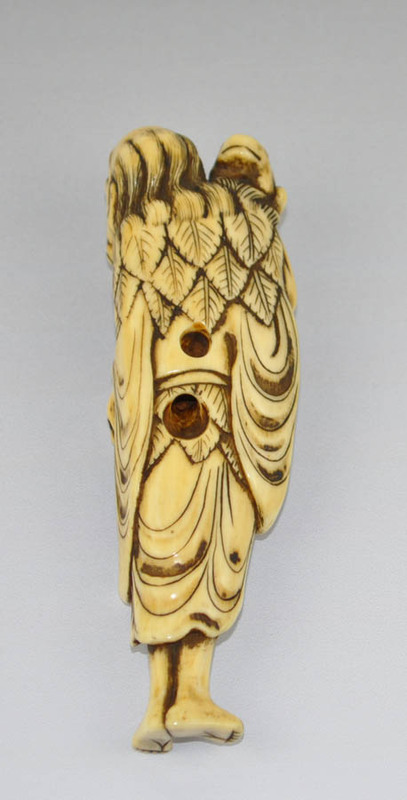 The Chinese style dress, the cloak of leaves and other details of this netsuke are finely carved and the ivory has a fine patina. 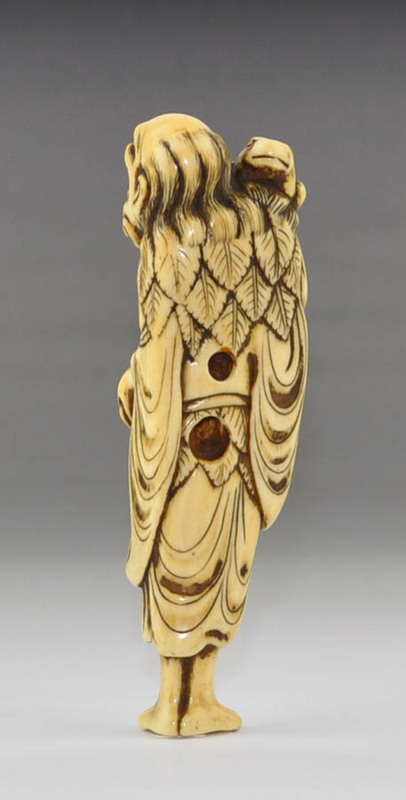 Kō Sensei is one of the most popular "Immortals" imported to Japan from China during the 17th century and has been portrayed countless times in netsuke and other forms of art.